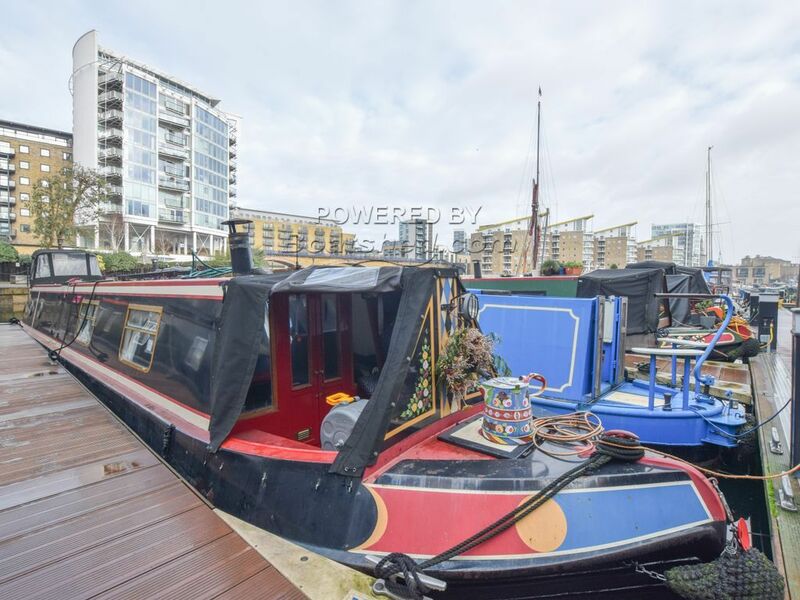 Boatshed London are delighted to offer this 52ft Narrowboat for sale with London residential mooring. Recently renovated to a high standard by the current owners, this is a beautiful liveaboard houseboat with a prime spot in one of London's most desirable marinas. Being sold due to a change in working circumstances, what you'll find is a boat that has just had over £50,000 spent on it to turn it into a modern, bright floating home. Recently surveyed and blacked, there would be nothing to stop someone moving straight in knowing that almost everything is new internally. The layout has been modified to give an open plan living area and kitchen with stove and central heating whilst the bathroom is now a walkthrough with large shower compartment and cassette heads. The owners were also careful to create as much storage as possible so there is plenty of space for a couple to live onboard full time. The residential mooring at Limehouse is fully transferable (5% transfer fee) and includes use of the laundry and shower block. Current mooring fees are £10,373 per annum paid upfront, £11,200 paid monthly. This Narrowboat 52ft With London Mooring has been personally photographed and viewed by Angus Rose of Boatshed London. Click here for contact details.